Treating the whole knee as opposed to selective parts of the knee is more effective. Doctors took 24 female patients with an average age of 58 (the youngest being 46 the oldest 70) and gave them three monthly Prolotherapy injections. In research, doctors from the University of Wisconsin School of Medicine and Public Health write: Systematic review, including meta-analysis, and randomized controlled trials suggest that Prolotherapy may be associated with symptom improvement in mild to moderate symptomatic knee osteoarthritis and overuse tendinopathy. Earlier in 2016 the Universities of Wisconsin, Kansas, and Michigan team with doctors from Argentina is publishing combined research on the positive clinical and chondrogenic (cartilage growing) effects of Prolotherapy in participants with symptomatic grade IV knee osteoarthritis.5 This suggested a disease-modifying effect or a “reversal” of the disease progression. Patients received an average of 6 dextrose injections and follow-up arthroscopy at 7.75 months (range 4.5-9.5 months) – to measure effectiveness of treatment. In published research in the Journal of Prolotherapy, Ross Hauser MD investigated the outcomes of patients receiving Prolotherapy treatment for unresolved, difficult to treat knee pain at a charity clinic in Illinois. Prolotherapy used on patients who had a duration of five years of unresolved knee pain was shown in this observational study to improve their quality of life. They reported less pain, stiffness, disability, depressed and anxious thoughts, medication and other pain therapy usage, as well as improved walking ability, range of motion, ability to work and activities of daily living. Therefore, Prolotherapy appears to be a viable treatment option for people suffering with unresolved knee pain. Doctors writing in the Journal of pain research have published research supporting what we have known here for decades. To most effectively treat knee osteoarthritis with Prolotherapy, Platelet Rich Plasma, or Stem Cells, you must treat the whole knee and not simply the cartilage degeneration. The researchers found periarticular Prolotherapy showed healing effects in many aspects of knee function that were better than with intra-articular prolotherapy. This healing effect was observed particularly in active movements, including walking on flat surfaces, and ascending and descending stairs. September 2016: From the University of Wisconsin School of Medicine and Public Health, a late 2016 study followed twenty-two participants treated with prolotherapy for symptomatic knee osteoarthritis who were previously enrolled in three randomized and open-label studies. At 52 weeks following enrollment, the patients were interviewed about the overall experience with Prolotherapy. improvement in knee-specific quality of life was found in 18 of 22 patients. Four patients reported limited response. pretreatment counseling enhanced treatment adherence and optimism of the success of the Prolotherapy treatments. patients reported overall positive experience with Prolotherapy. July 2012: A case report that was published in the medical journal Anesthesiology and Pain Medicine discusses the clinical and radiological outcomes of prolotherapy in a patient whom total knee prosthesis had been planned but surgery couldn’t be performed due to other existing medical conditions. The patient was a 72 year old woman with severe pain at her knees for over 5 years. Treatment methods include weight loss, decreasing the weight bearing on the joint, stretching exercises, nonsteroid anti-inflammatory and steroid drugs, and physiotherapy. The Western Ontario and McMaster Universities Osteoarthritis Index (WOMAC) scale was applied to measure the osteoarthritis level of the patient: Pain level; 25 points, stiffness level; 10 points, Physical function loss; 80 points, and total WOMAC 115 points. At radiological evaluation, the patient was diagnosed as grade IV osteoarthritis due to significant osteophyte presence and complete joint space narrowing. Six sessions of knee prolotherapy protocol was applied to the patient, one session monthly. Significant improvement was noted at WOMAC scale (Pain level; 5 points, stiffness level; 2 points, Physical function loss; 15 points, and total WOMAC 22 points). Osteoarthritis level of the patient was improved to grade I at radiological evaluation after a year. Our case is the report that presents radiological evidence in addition to clinical findings of improvement of osteoarthritis level. 1. Eslamian F, Amouzandeh B. Therapeutic effects of prolotherapy with intra-articular dextrose injection in patients with moderate knee osteoarthritis: a single-arm study with 6 months follow up. Ther Adv Musculoskelet Dis. 2015 Apr;7(2):35-44. 11. Hauser RA, Hauser MA. A Retrospective Study on Dextrose Prolotherapy for Unresolved Knee Pain at an Outpatient Charity Clinic in Rural Illinois. Journal of Prolotherapy. 2009;1:11-21. 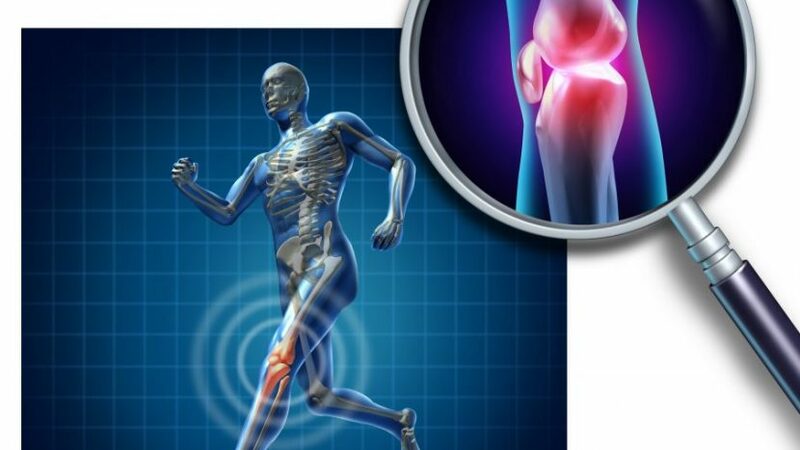 13 Hassan F, Trebinjac S, Murrell WD, Maffulli N. The effectiveness of prolotherapy in treating knee osteoarthritis in adults: a systematic review. Br Med Bull. 2017 Mar 4:1-18.